Vacation rental condominium. Sleeps 6, 3 bedrooms, 3 bathrooms. No pets allowed. 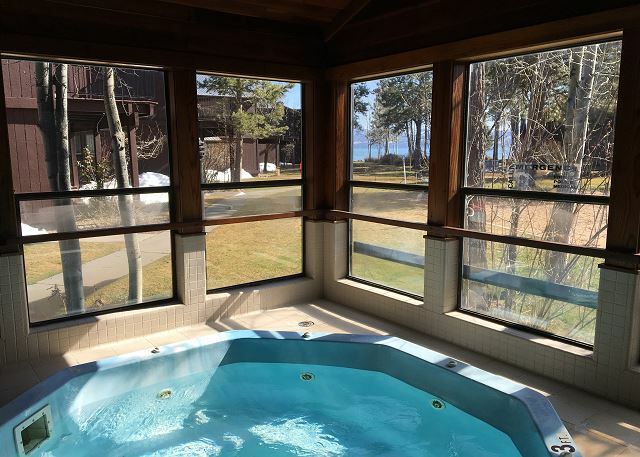 This is a comfortable, three bedroom three bath end unit townhome condominimum that has a view of the lake. The upstairs living area is bright and sunny. In the summer months you can enjoy the balcony off of the living room. It is located close to all amenties which includes beach area, pier, swimming pool, tennis courts, indoor and outdoor spa, sand volleyball court and courtyard BBQ facilities. There is wifi at the unit. 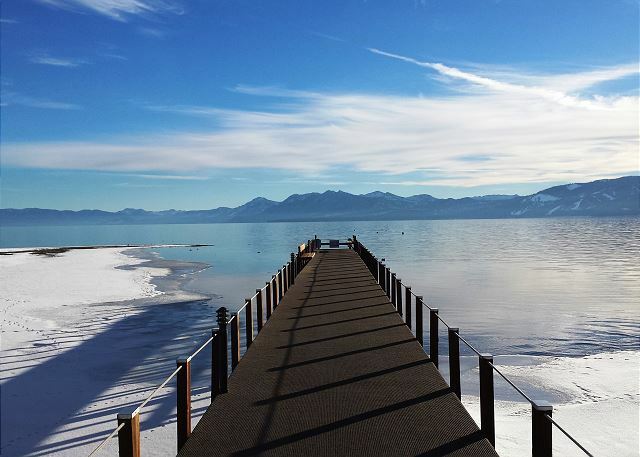 It is in a great lakefront development for a family vacation. 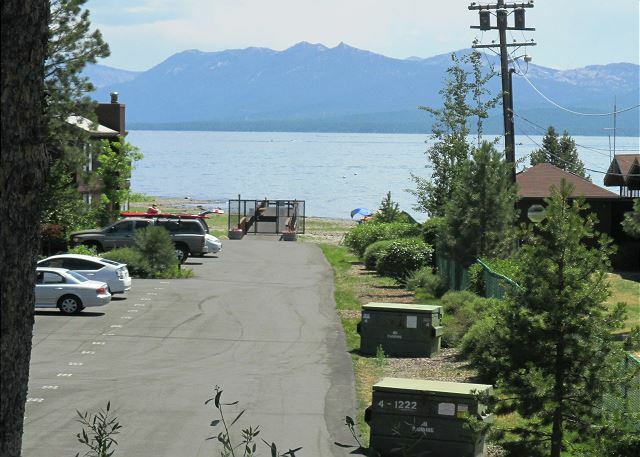 Close to bike & hiking trails and just adjacent to a public boat launch. 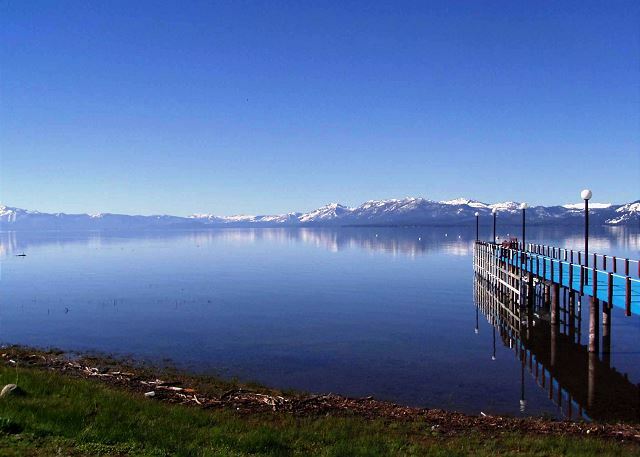 Very close to Tahoe City for fine dining, shopping and entertainment. 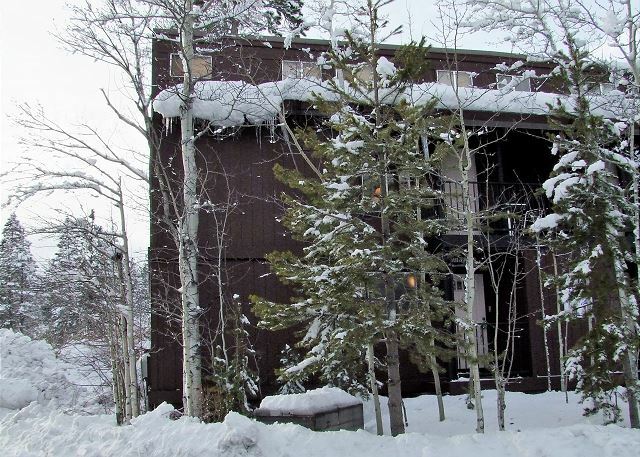 Central location providing an easy drive to ski resorts like Squaw Valley, Alpine Meadows and Homewood. The view from this unit was pretty good. The double bed upstairs needs updating as do the twin beds and one broken twin bed frame downstairs...pads were a bit disgusting. But the size for the family was pretty darn great! Don't recommend the loft space for small children. Entrance to and from is not safe. All beds are ready to be replaced.